Another excursion for the genre independent Börft label. 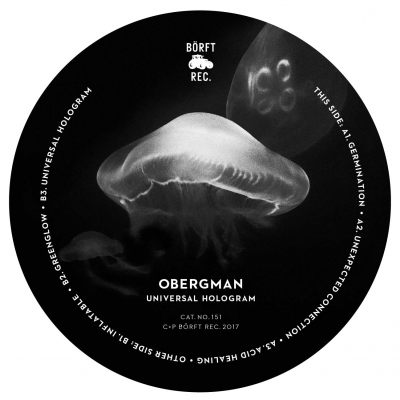 Celebrated artist Obergman delivers a six tracker record for fans of acid and electro. The acid techno workout ”ACID HEALING” slowly builds with sweet melodic strings into floorfilling potential while the B-side begins with ”INFLATABLE”. A Bass ridden driving acid techno track with ominous melodic stabs that works well when doing a build-up mix into more frenzy territory. The b2 track ”GREENGLOW” explores rocking acid lines bonded by delicate smooth detroit styled strings.